The Joint Admission and Matriculation Board, JAMB 2019/2020 Registration Form for UTME and Direct Entry Candidates has been announced. Applications are invited from suitably qualified candidates for admission to Tertiary Institutions in Nigeria for academic session beginning in 2019. This is to inform the general public that the Joint Admission and Matriculation Board (JAMB) has announced the sales of the 2019 UTME/DE registration form. Note: JAMB 2019 Form is now on sale. The UTME Form will be on sale as from Thursday, 10th January. The period of sale/registration for all candidates (UTME/DE) including those from Foreign Countries is from 10th January, 2019 to 21st February, 2019. Update: Please watch out for this space as we will published the complete guideline for JAMB 2019 Registration. From the screenshot below; it is no doubt that the 2019 UTME form will be on sale starting from tomorrow. Step 1. No candidate should proceed to any CBT centre without first creating a profile. (please see how to create a profile in step 2 below). Step 2. Candidates are advised to create a profile by sending their name in this format; (Surname, First-name, and Middle-name) via SMS to 55019. Step 3. After which a 10 digit profile code would be sent to their telephone number. Step 4. 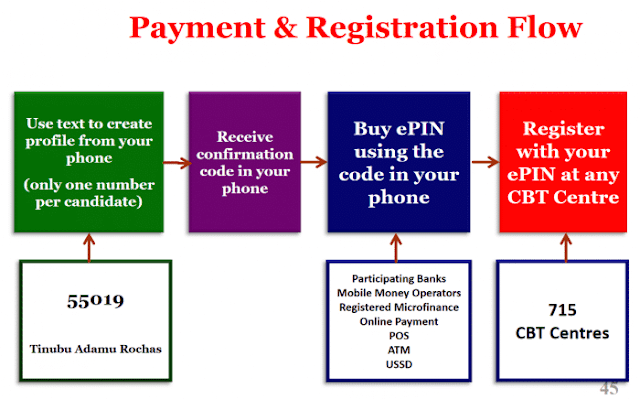 This code will then be used to purchase the application document at the point of purchase (Banks, MMOs, MFBs, USSD Partners etc). Step 5. 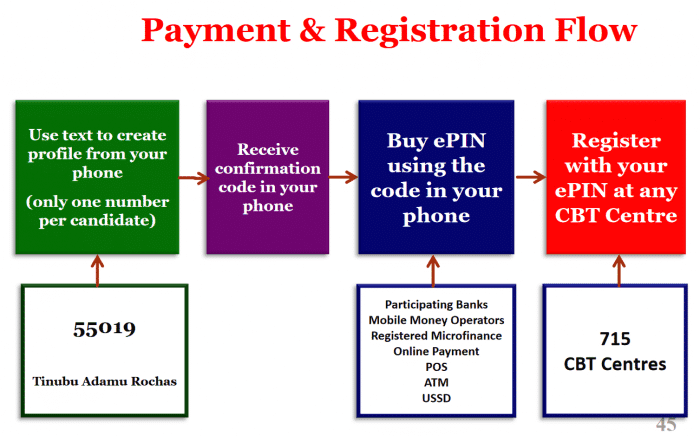 A form e-pin would then be sent to the candidate via SMS. Step 6. The candidate is to present the e-pin at any JAMB accredited CBT centre for registration. The JAMB 2019 Registration Closing Date has been announced. All interested candidates are advised to register for the examination before it is too late. Reprinting of the JAMB examination slip for the 2019 UTME has commenced. See full details here. How to Check JAMB Centre and Date of Examination.